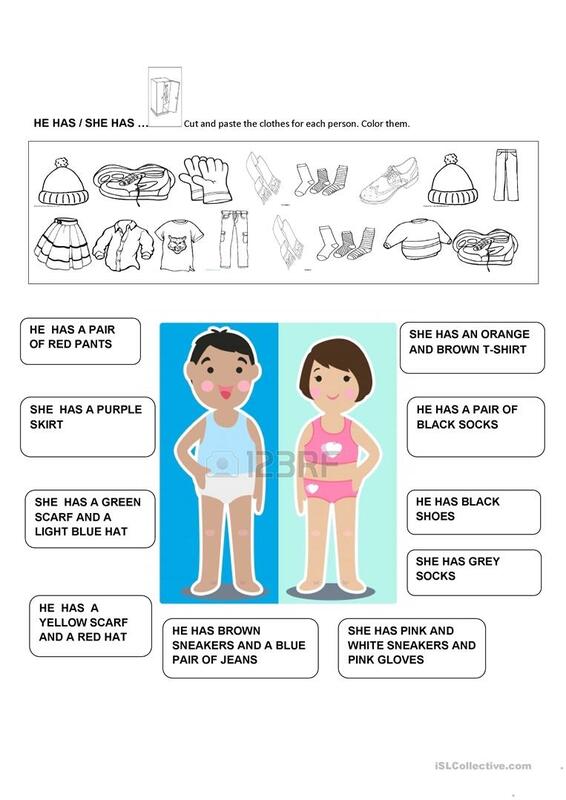 The present downloadable worksheet is meant for elementary school students at Elementary (A1) level. It is aimed at consolidating HAVE GOT or HAS GOT in English, and is excellent for strengthening your groups' Writing skills. 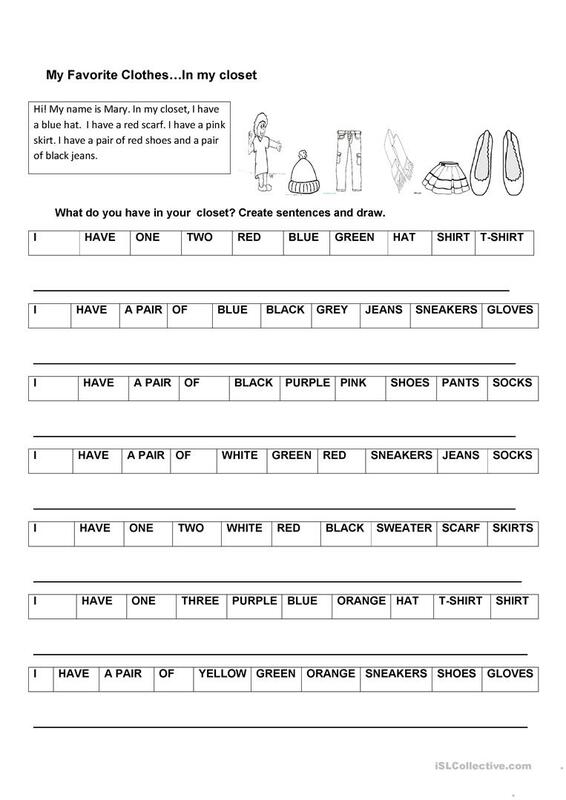 It features the theme of Clothes, fashion.